Tomorrow (as of this writing) is May the 4th, the unofficial “Star Wars holiday” that, over time, has truly become a thing now. There are Star Wars marathons on TV, customized cakes, theme parties, and all kinds of other celebrations commemorating May the 4th. It’s also fitting that it’s around the corner from Star Wars creator George Lucas’ birthday of May the 14th. For this year’s May the 4th post, I had something a little more perverse in mind. 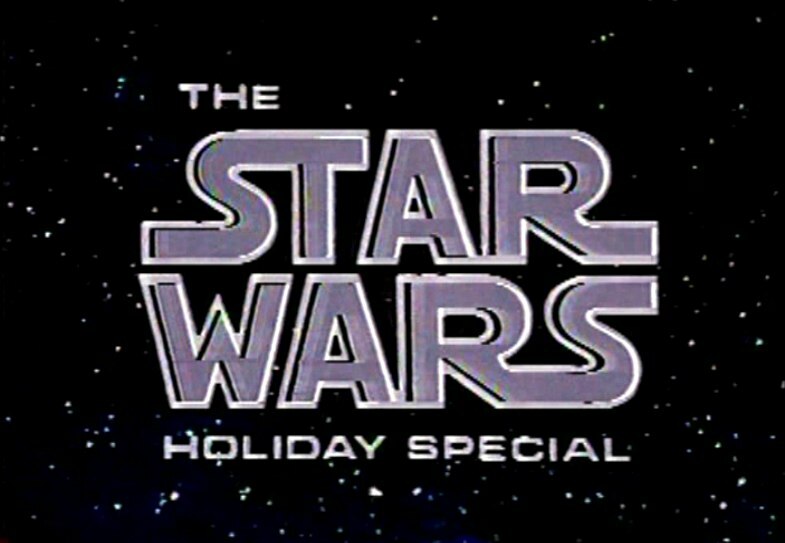 Instead of going over the entire franchise (again), or examining a singular favorite, or discussing the new upcoming “Han Solo” film , I decided to take a look at the “Star Wars Holiday Special,” (SWHS) which coincidentally, also turns 40 years old this November (just in time for another famous celebration of turkey in the United States…). In the 40 years since the SWHS originally aired, it has become the stuff of bootleg/internet legend, and for many reasons. The main one, in my opinion, being sheer curiosity. The SWHS is audaciously awful, and would most likely never happen today with the near-obsessive quality control that Disney exerts over the franchise. 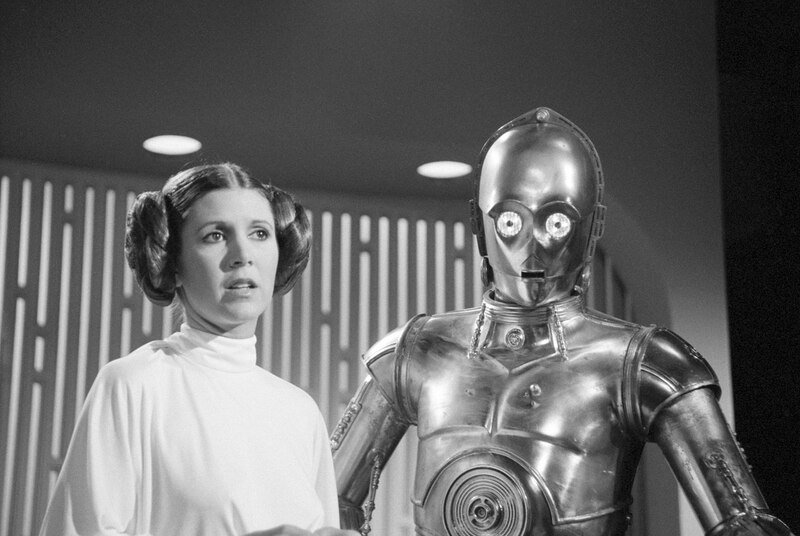 Even George Lucas, who signed off on its creation 40 years ago, has completely disowned it. Safe to say, we will probably never see an official DVD or blu-ray release of the SWHS. 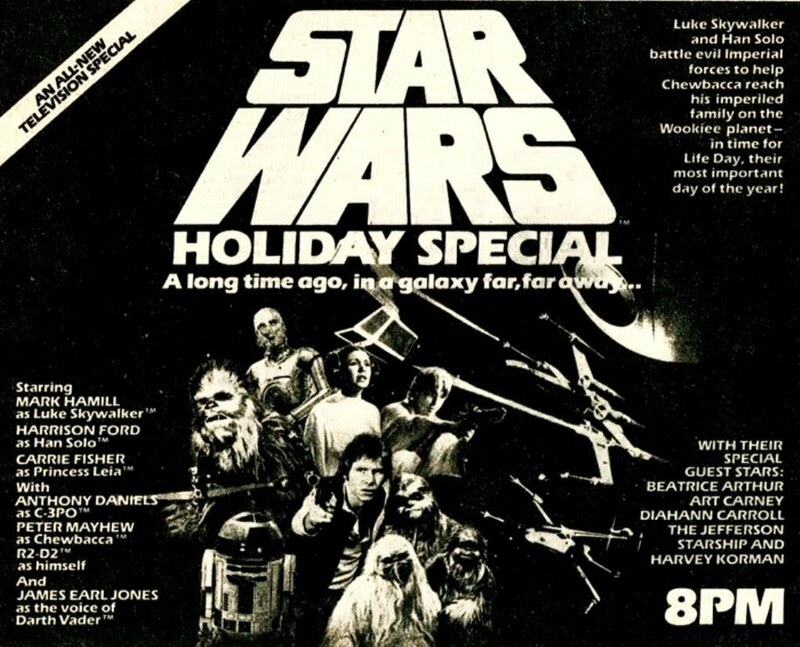 That’s probably a good thing, since a part of me is still bitter at surrendering two hours of my then-11 year old life towards watching this slow-motion train wreck of a ‘special’ on that November night back in 1978. In the tradition of then-popular variety shows like “The Carol Burnett Show,” “Donnie & Marie,” and “Sonny & Cher,” the SWHS special was a curious hodgepodge of singing, dancing, awkward (and deeply unfunny) comedy sketches, an actual underlying storyline (more on that in a second), and even an odd cartoon segment featuring a certain Mandalorian bounty hunter named “Boba Fett” (whose undying popularity in the Star Wars franchise still baffles me a bit). 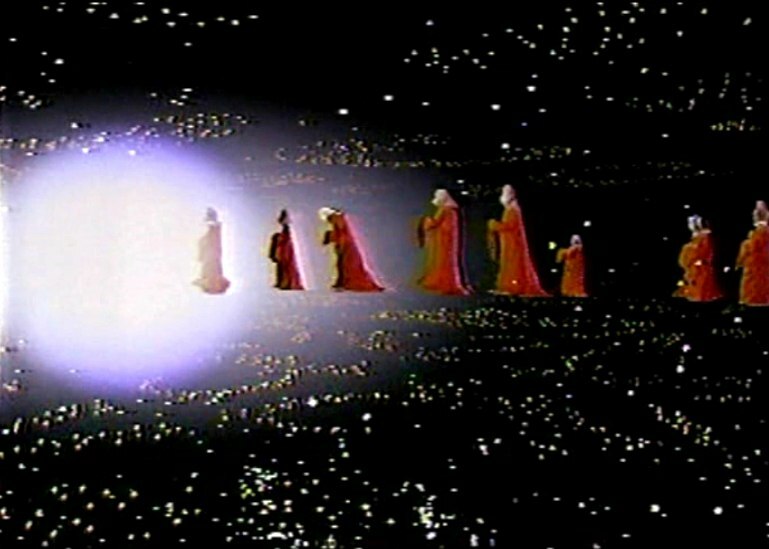 The SWHS featured all of the main cast members of the original 1977 movie. 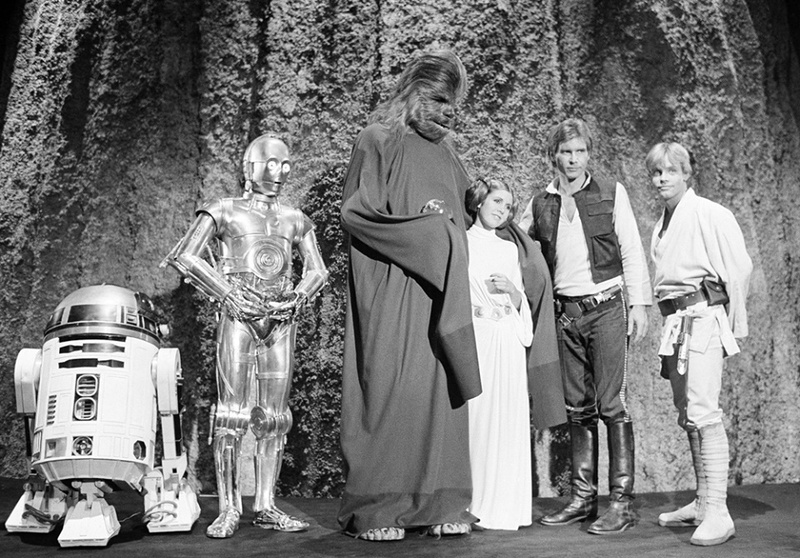 Harrison Ford, Mark Hamill, and the late Carrie Fisher were all present (this was before they became household names), as well as Anthony Daniels (C3PO), the late Kenny Baker (R2-D2) and Peter Mayhew (Chewbacca). 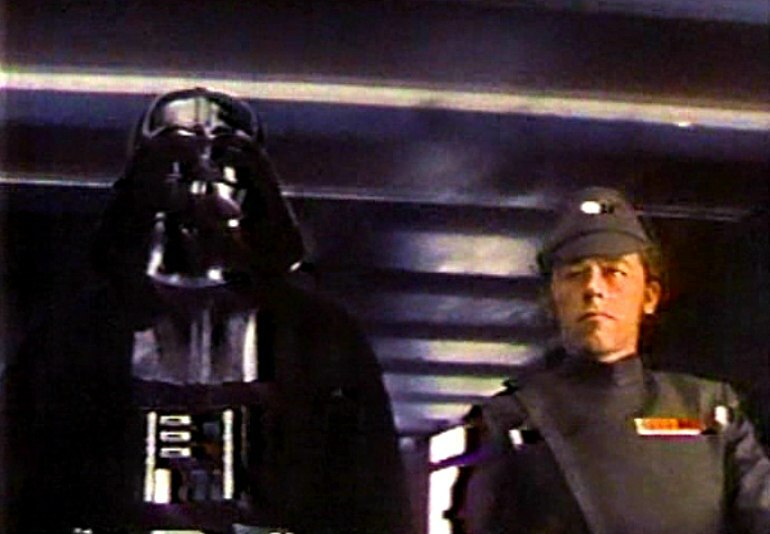 James Earl Jones’ Darth Vader voice was dubbed over unused footage from the 1977 original movie. 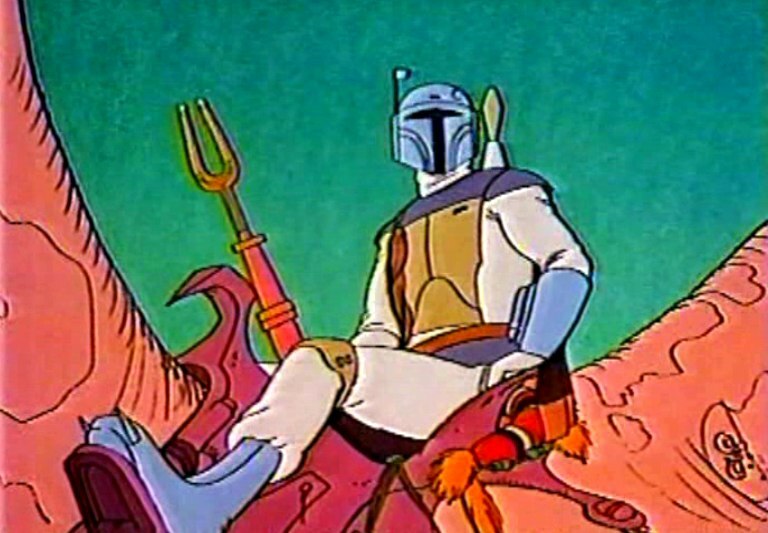 He also voices Vader in the Boba Fett cartoon segment (more on that in a bit). 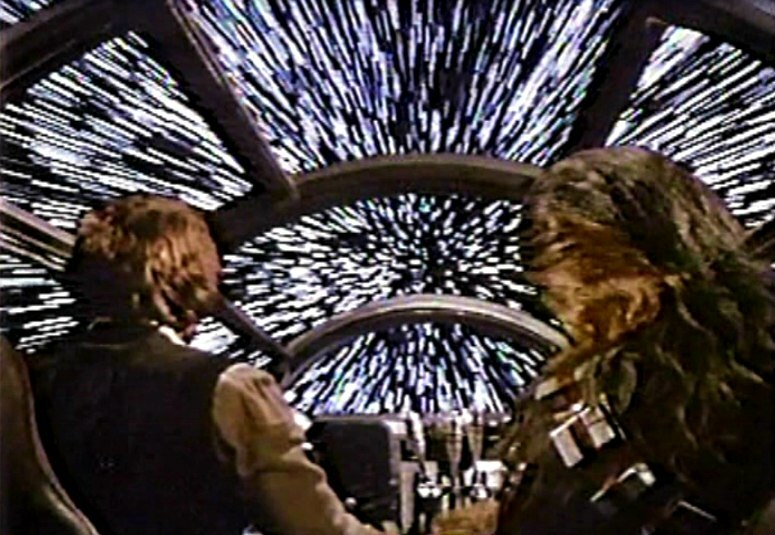 The jump to hyperspace… in glorious 4:3 pan and scan! 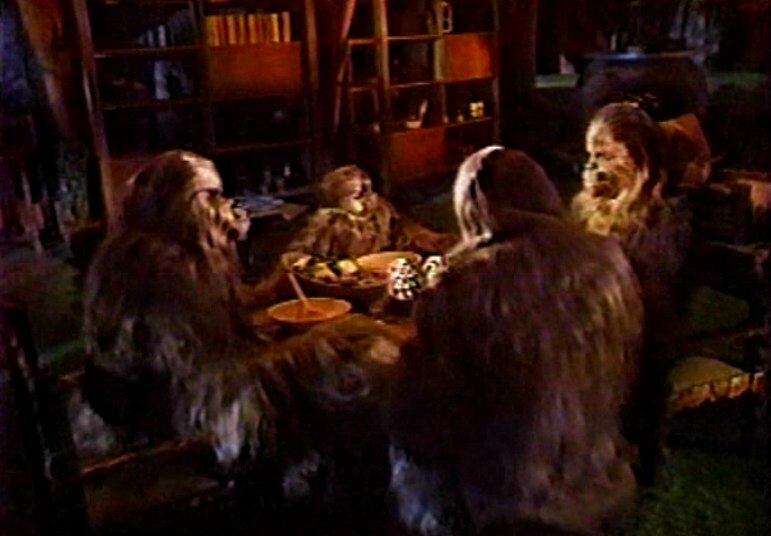 On the Wookiee home planet, we are subjected to overly-long, agonizingly dull, un-subtitled domestic scenes of Chewbacca’s family, including wife Malla (Mickey Morton), father-in-law Itchy (Paul Gale) and her son Lumpy (actress Patty Maloney, who played Twiki’s robotic love interest “Tina” on an episode of 1979’s “Buck Rogers in the 25th Century”). 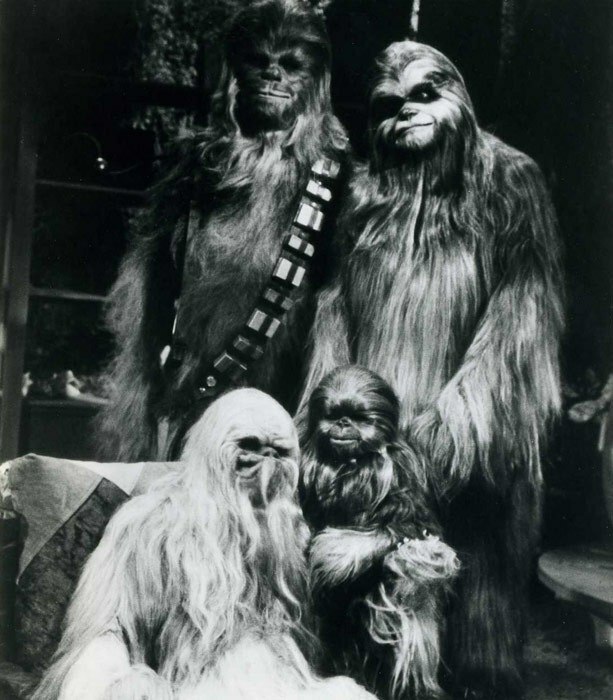 The Wookiee family home life segment is TEN LONG MINUTES of various-sized actors in Wookiee costumes with dubbed-in growls, warrrrls, and rrrrffffs substituting for actual dialogue. It’s like the origin story of Bigfoot rendered in pantomime. I can’t imagine any kid voluntarily sitting still for this today. 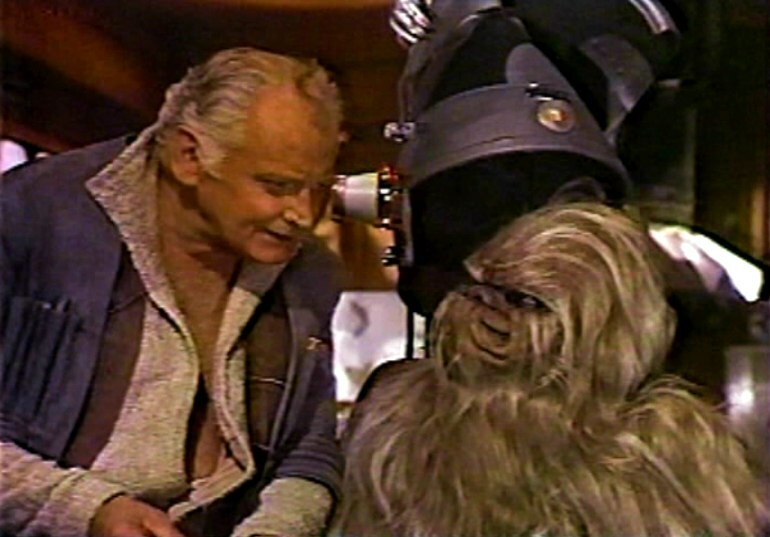 The family is visited by family friend/conman/mechanic Saun Dann (the slightly embarrassed Oscar winner/“Honeymooners” legend Art Carney), who aids in stalling Imperial forces when they come to raid the Wookiee family’s household, since Chewbacca is a suspected of being a rebel spy. This subplot would actually make for a decent half-hour episode of “Rebels” if done today (with Disney’s magic touch). Sadly, that isn’t the case here. The worst parts are the segments between the storyline. 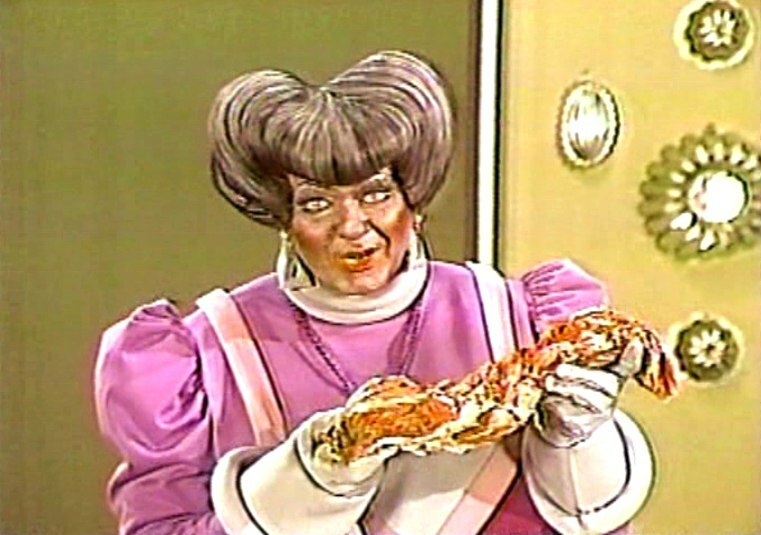 There are various attempts at comedy, beginning with late “Carol Burnett Show” vet Harvey Korman playing the female android host of a cooking show (?!? ), and a few other terribly unfunny characters as well. This is particularly disheartening, since the versatile Korman was one of the more talented players on the old comedy goldmine known as “The Carol Burnett Show.” He played a few memorable roles in the Mel Brooks comedy canon of movies as well. Korman’s various performances in the SWHS are so ill-conceived that they rival Martin Scorsese’s “King of Comedy” in their discomfort level. 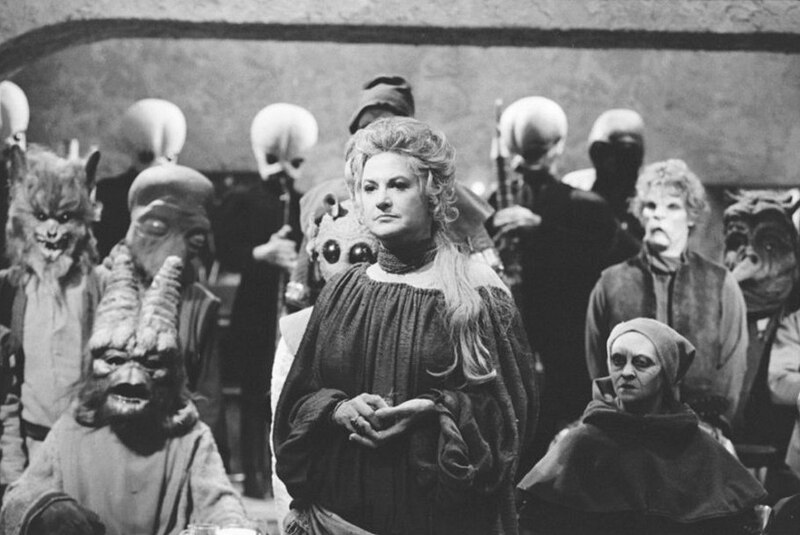 There is also a torch-singing Bea Arthur playing the barkeep of the famous Mos Eisley cantina at closing time. What’s (almost) impressive about this segment is that it uses many of the original Rick Baker masks from the actual cantina sequence of the 1977 movie. Beyond that? It’s boring, goes on too long, and is chock-full of truly awful jokes. 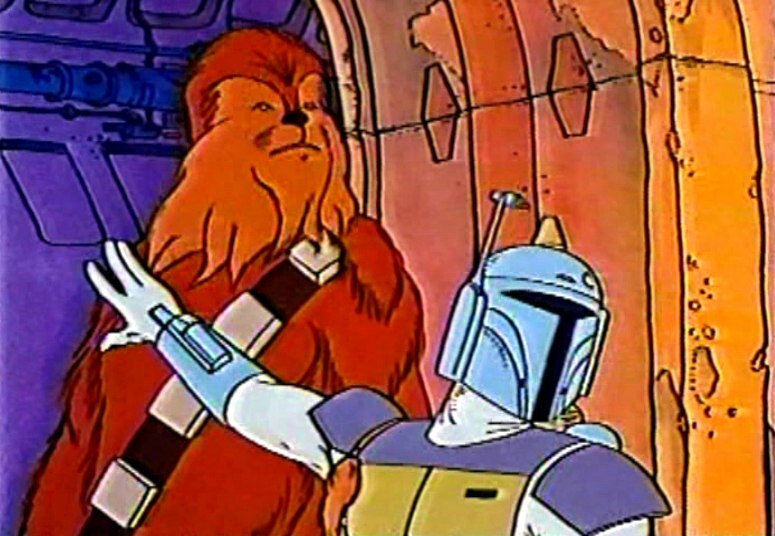 Oddly, Boba Fett is given more screen-time in this 1978 cartoon than he is afforded in both “The Empire Strikes Back” and “Return of the Jedi” combined. 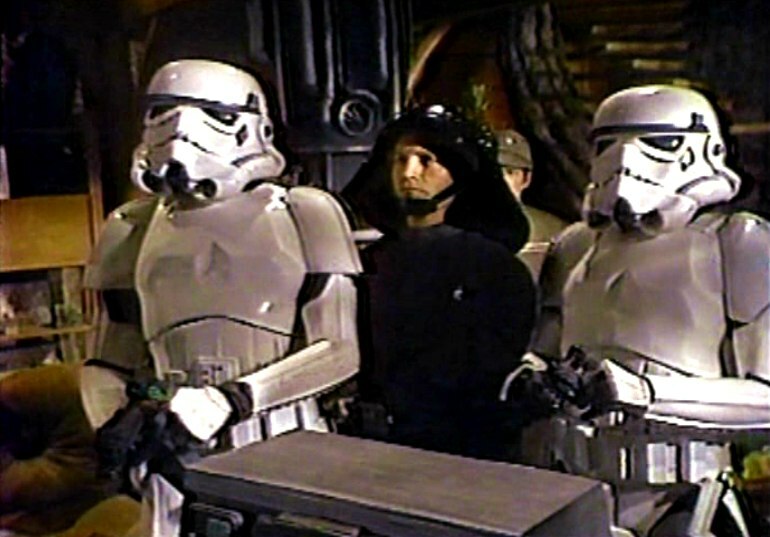 To be honest, I never quite understood the raging cult following for the Boba Fett character (he dies like a Star Trek redshirt in “Return of the Jedi”). 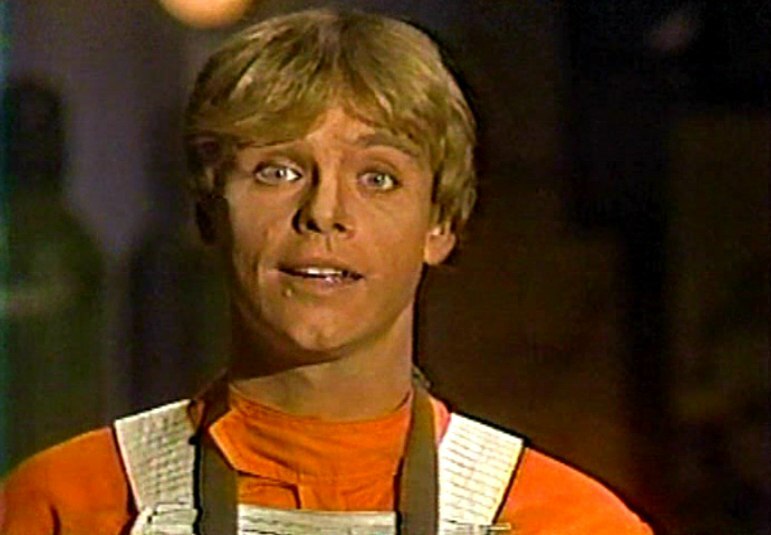 Though I certainly remember the frenzy that Lucasfilm tried to whip up for the character in those days. I remember going to an appearance by Boba Fett (or rather some anonymous guy in a Boba Fett costume) at our local shopping mall when I was a kid. Hell, I even sent away for the Kenner Boba Fett action figure using proofs-of-purchase from other Kenner Star Wars toys. It came about three months later sans collectible packaging, and without the infamous choke-hazard detachable rocket. 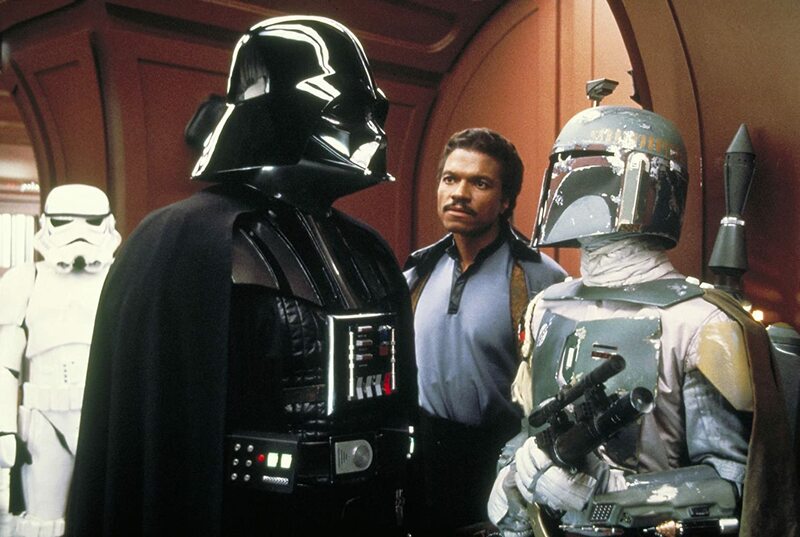 When I eventually saw Fett in live-action in “Empire…” in 1980, I was certainly intrigued by the character (he brought in Han Solo… no easy feat). Though he never quite lived up to his potential; much like Darth Maul in the prequels, and Captain Phasma in the current movies. They were all good ideas on paper that never quite materialized into substantial characters. 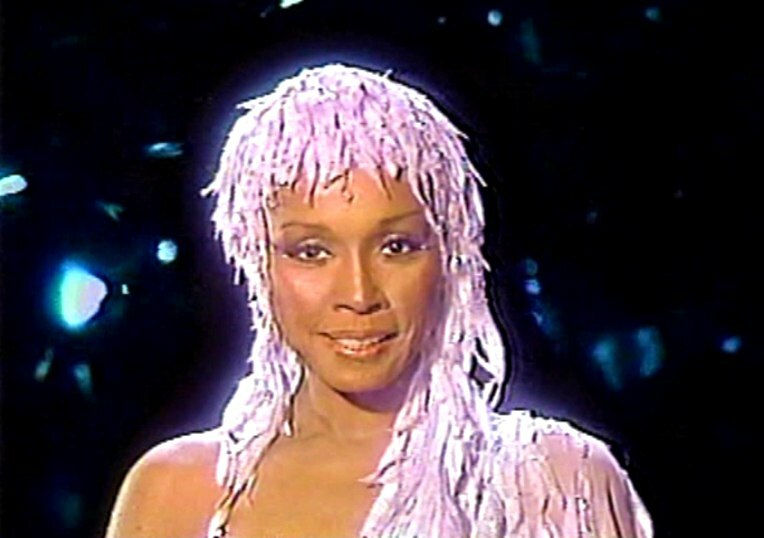 But the worst of these side segments (hands down) is the sight of Grandpa Itchy seemingly becoming sexually aroused as singer Diahann Carroll seductively coos at the old Wookiee through a hairdryer-looking virtual reality getup. Chalk it up to another in a long list of ‘what the hell were they thinking?’ moments that are littered throughout the SWHS. The End (thank the maker…). First, my condolences to the cast. 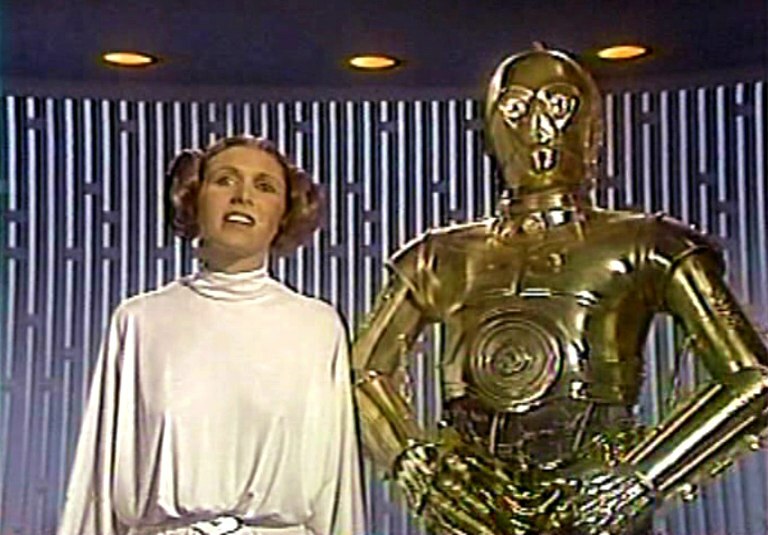 Carrie Fisher seems utterly bored with the whole thing, though she has a lovely singing voice. I can’t say I blame her for being bored. Doing this pedestrian special instead of say, doing another “Saturday Night Live” must’ve felt like community service. 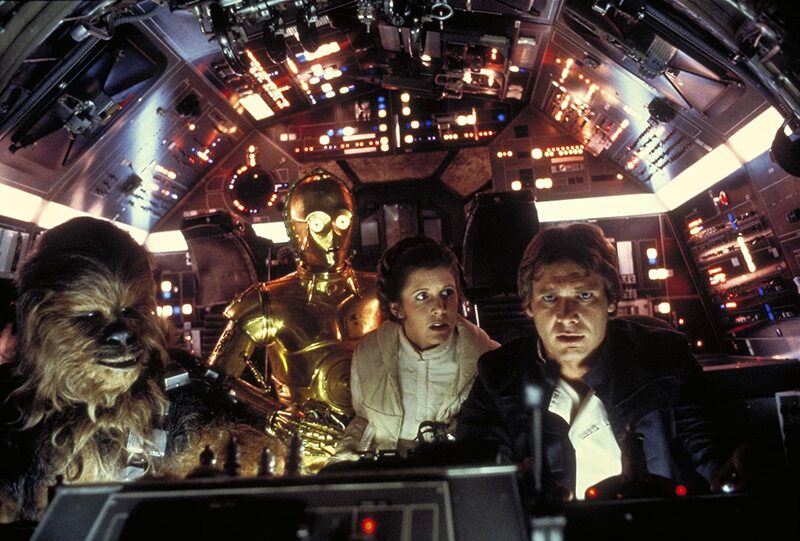 Getting the entire A-cast to return for something like this would probably never happen today, but this was the late ’70s and Harrison Ford wasn’t Harrison Ford yet. 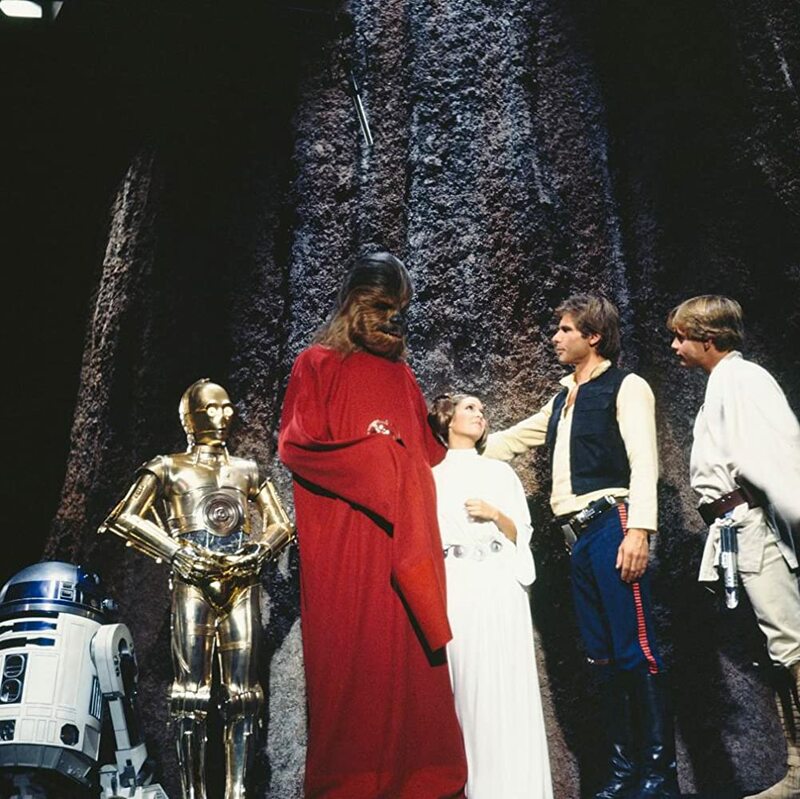 I’m pretty sure that current keepers-of-the-Force-flame Disney wouldn’t put their stamp of approval on something as shoddy and weird as this, either. Whatever your Star Wars entertainment of choice? 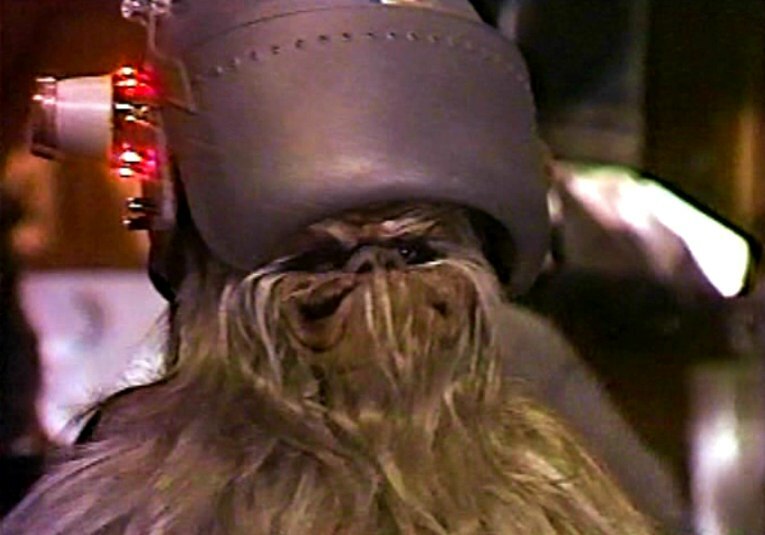 Enjoy the day, forget that the Star Wars Holiday Special ever existed and May the 4th be with you!